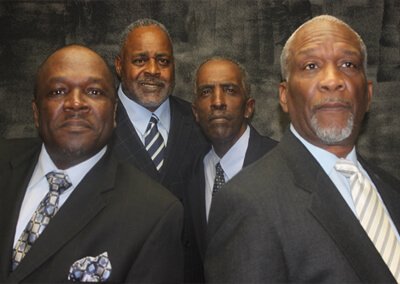 The Manhattans are an American popular R&B vocal group, with a string of hit records spanning four decades, their best known million-selling songs being “Kiss and Say Goodbye” and “Shining Star” in 1980. The group’s first single was “For the Very First Time,” released in 1964. They continued recording successfully with songs written by various members of the group. 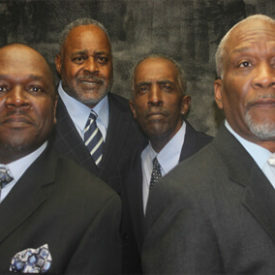 The Manhattans continued recording throughout the 1970s with Alston singing lead vocals. Then their biggest song to date was Kiss and Say Goodbye. The song quickly became a #1 chart topper on both the US Billboard Pop and R&B charts. It also became only the second single to go platinum. The group continued as a quartet, and found further success in March 1980 with the release of “Shining Star,” which reached #5 on the Billboard Hot 100 and #4 on the R&B Chart. Produced and co-written by the Chicago-based record producer it received a Grammy Award the following spring. The group celebrated its 20th anniversary in 1985 with the release of Too Hot To Stop It. It included the Evans/Smith-penned “When We’re Made As One,” originally recorded in 1966 but covered in an a cappella, doo wop style to emphasize the group’s doo wop roots. The album was also dedicated to George Smith.